Without a proper business succession plan, the very future of the company is in question. The entire business could even tank due to a lack of a proper succession plan. Without some guiding documents in place, new owners and family members may be stepping in to a very complex situation and may end up in conflict with one another. It’s important to meet with an attorney who has extensive experience in the realm of business succession planning to start with to ensure a comprehensive approach towards protecting individuals and the interests of the business. 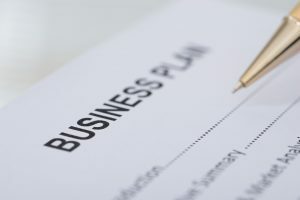 Although to some extent certainty and clarity should be incorporated into your estate plan, the owner might assume risks in order to help grow the business. The owner may even have a concept in mind for when he or she will elect to leave the business. However, there are so many different events that can disrupt this plan. If you have not planned for some adaptability in the business succession plan, all the hard work can go up in smoke. One key aspect to remember in any business succession plan is the transition of the owner. How will he or she maintain an operational role or compensation during the succession process? If the clients intend to remain with the business because of their connection to the owner, this transition period could lead to a lack of trust. Any buyer will want to be able to minimize the potential impact of fleeing or unhappy clients. One way to address this is by using an earn-out structure for the owner’s exit. If you have more questions about the business succession planning process, reach out to an experienced lawyer today.